But is it a Giveaway? In political campaigns, media “fact checkers” are supposed to be the unbiased umpires–calling balls and strikes over the veracity of claims made by campaigns. However, fact checkers reveal their biases in how they address the claims they are adjudicating. In other words, they expand the strike zone for some candidates, and narrow it for others. Case in point: Look at how Washington Post and Baltimore Sun “fact checkers” handled Anthony Brown’s claim that Larry Hogan wants to hand out hundreds of millions in corporate giveaways. 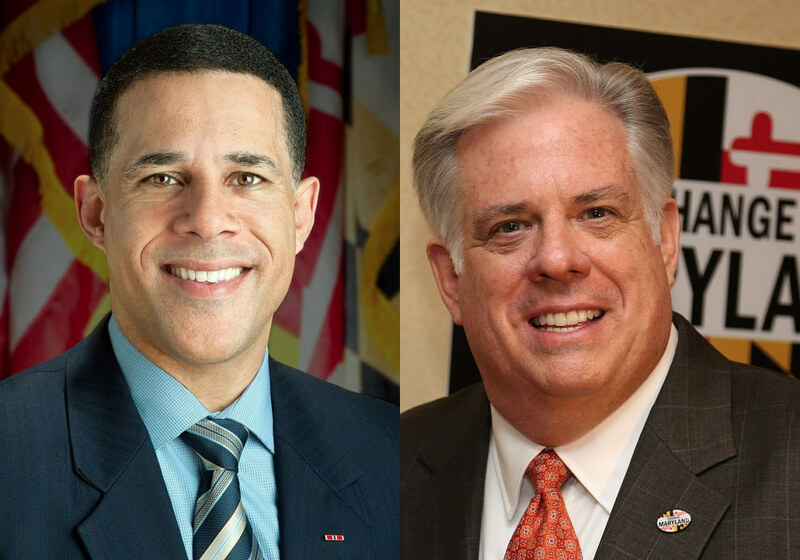 Anthony Brown has repeatedly made that claim, against Hogan, and against Doug Gansler in the Democratic primary. A Super Pac ad supporting Brown ad puts the corporate giveaway line in the mouth of a Maryland schoolteacher. Here’s how Jenna Johnson and John Wagner of the Washington Post handled the issue during a Democratic primary debate. About this there is no dispute: Attorney General Douglas F. Gansler, a Democratic candidate for governor, has proposed gradually reducingMaryland’s corporate income tax rate from the current 8.25 percent to 6 percent, to match the rate that Virginia levies. At the debate at the University of Maryland at College Park, Lt. Gov. Anthony G. Brown (D) accused Gansler of advocating a $1.6 billion “giveaway” to corporations. It’s a charge Brown has made many times before. Although that figure is not entirely made up, it does beg some explanation of the math behind it, which Brown did not provide during the debate on Wednesday. Baltimore Sun “fact checkers” Liz Bowie and Erin Cox made essentially the same judgment reviewing claims from the first Brown-Hogan debate. Brown repeatedly said Hogan wants to hand corporations “a $300 million tax giveaway.” Hogan has said he wants to reduce Maryland’s corporate tax rate from 8.25 to 6 percent, which translates into $300 million of tax revenue in one year. Hogan contends the increased economic activity from lower taxes would eventually more than offset that loss. Both pairs of fact checkers focus on the revenue projections. However, Neither pair of reporters actually address whether cutting the corporate tax rate is a giveaway. The way in which they framed their rulings leads the reader to assume that they agree with Anthony Brown—a tax cut is a giveaway. Cutting the corporate tax rate—or any tax rate—is a “giveaway”, only if you believe that the money already belonged to the government. It is no surprise that Anthony Brown’s campaign would engage in this tax cut-is-a-giveaway deception, because after all personnel is policy. However, the Baltimore Sun and Washington Post adding their imprimatur to that deception with a positive fact check is another case of the media putting their thumb on the scale for Anthony Brown.